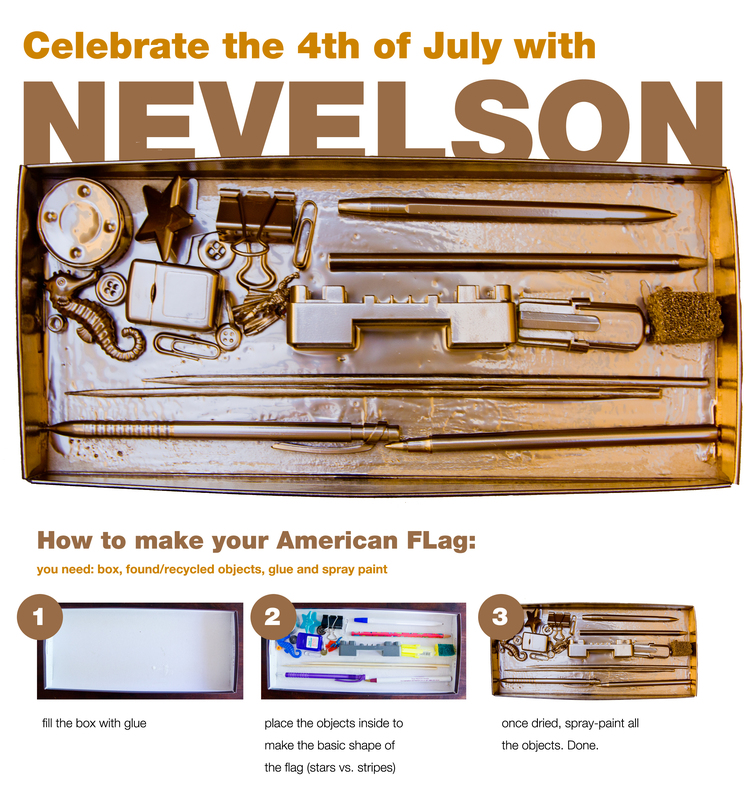 Celebrate 4th of July with Nevelson! Louise Nevelson ( 1899 – 1988) was an American sculptor known for her big, monochromatic (one-colored), puzzle-like wooden sculptures. She liked to collect interesting objects and finding new ways to use them. When her studio became too crowded, she started stuffing the objects in gift boxes and realized that by doing that, she made a sculpture. Learn more about her and her amazing work here. This entry was posted in Art Projects and tagged 4th july, american, art, ArTree, flag, kids, nevelson, project, recycle, usa. Bookmark the permalink.